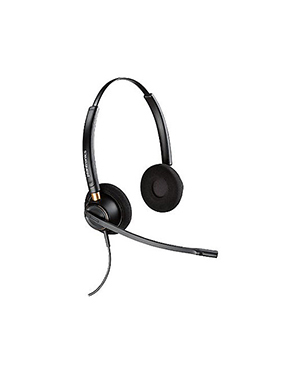 Plantronics EncorePro HW520D Stereo Digital Headset is a reliable audio device that offers better call handling and management control and enhanced interactions through better and clearer conversations. This product works excellently with Plantronics Manager Pro and Plantronics DA90 USB Audio Processor, which can altogether work efficiently in delivering towards the demanding needs of customer service agents. 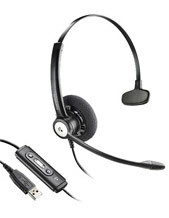 Plantronics EncorePro HW520D Stereo Digital Headset when connected with Plantronics Manager Pro is able to allow IT to have more detailed insights on the use of devices and the results of the call handling and management skills. The device offers simplified headset management and does not require additional IT trainings for users. Talk to us today! Take out your phone and dial Australia wide 1300 131 133 to get more details about this product! Plantronics was established in the year 1961 and since then has devoted its operations and development efforts on innovating and manufacturing lightweight communications headsets. The company was able to successfully develop lightweight headsets in 1962, which was used by Neil Armstrong in the year 1969 when he became the first one to set foot on the moon. In fact, when he said the line “It’s one small step for man, one giant leap for mankind”, he did so using a Plantronics headset. Plantronics has become an epitome of lightweight headsets because of the company’s innovation in the time when big, heavy, and bulky headsets dominate the market. And with its role in Armstrong’s mission, the company has created a high standard for its operations even early on in its operations. Plantronics, headquartered in Santa Cruz, California, has successfully catered to millions of customers all over the world since its establishment. Named as one of Australia’s most extensive online store, Headsetsonline Pty Ltd delivers wide selection of business and consumer audio products and solutions in the market. It offers brand new and refurbished corded and cordless headsets, wired and wireless headsets, Bluetooth devices, headphones, and speakerphones of different brands in order to cater to the specific preferences of customers. 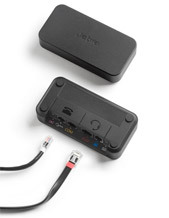 Headsetsonline started out as a new division under a popular audio products supplier since 1998, delivering headsets to corporate sectors and government agencies. The company has now become one of the best suppliers in the market, choosing Australian distributors over grey imports. With this choice, it is able to cater high quality audio products and solutions, which are all Australian standards certified. Along with these products and solutions, the company also offers guaranteed warranties that are covered all over Australia. 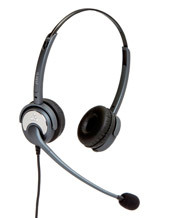 For more details about the company and its offers, customers can easily visit the company’s secured site, Headsetsonline.com.au.